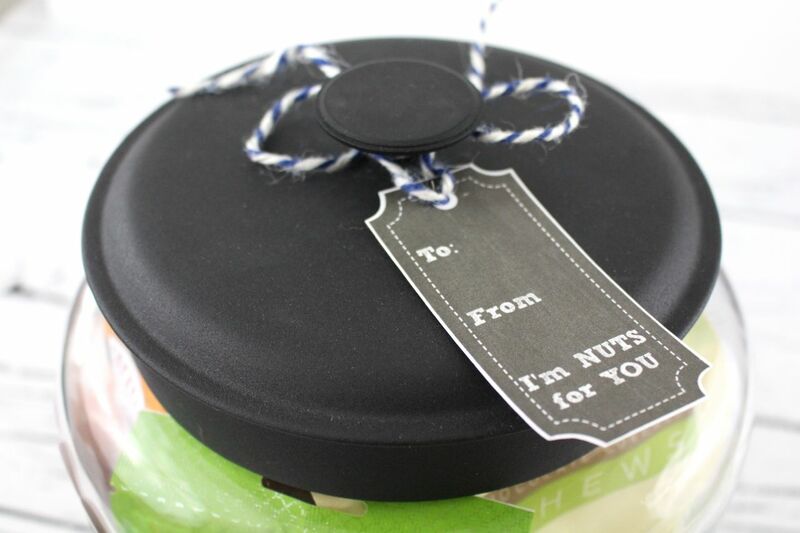 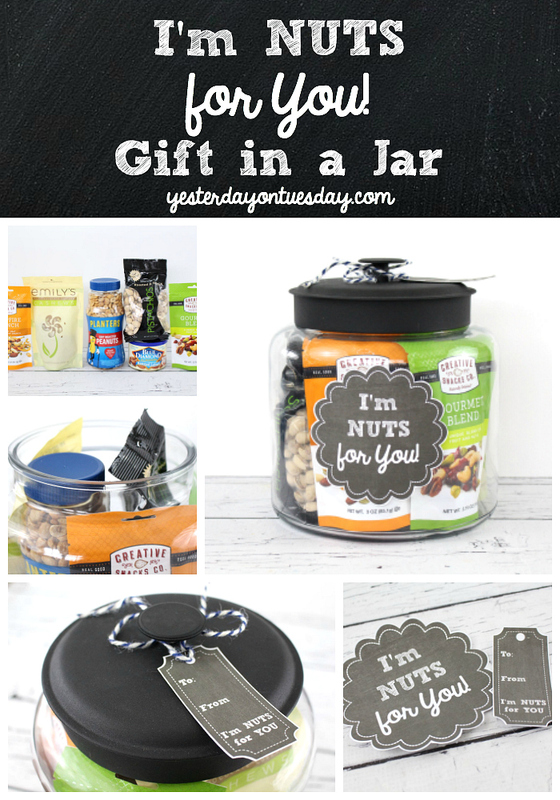 Woo Hoo it’s Day 3 of Gifts in a Jar week… and today I have an easy gift idea for anyone in your life who likes nuts… it’s a “I’m NUTS About YOU” Gift in a Jar. 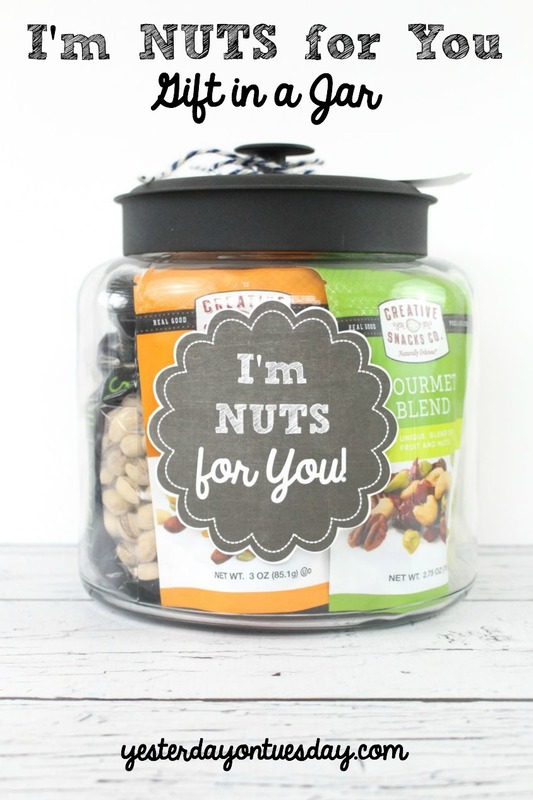 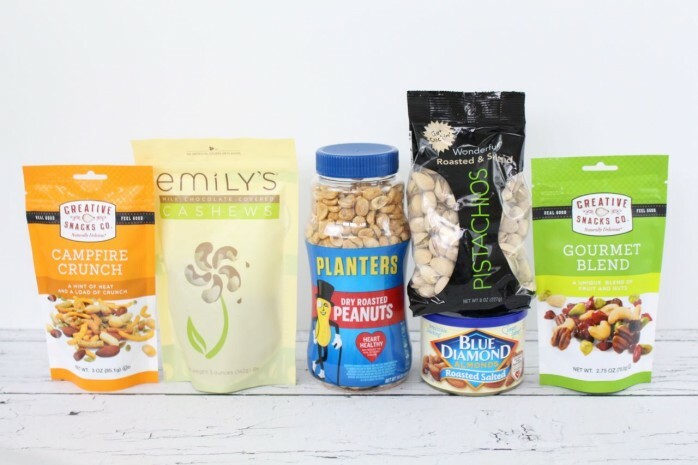 This is an easy idea for someone’s birthday or Father’s Day/Mother’s Day or the holidays… any time (as long as there aren’t any nut allergies in the person’s home). First, grab whatever nuts are available at the grocery store. 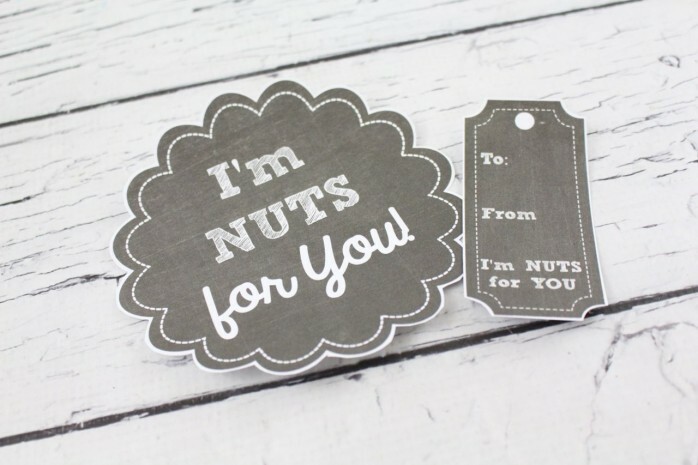 I like an array! 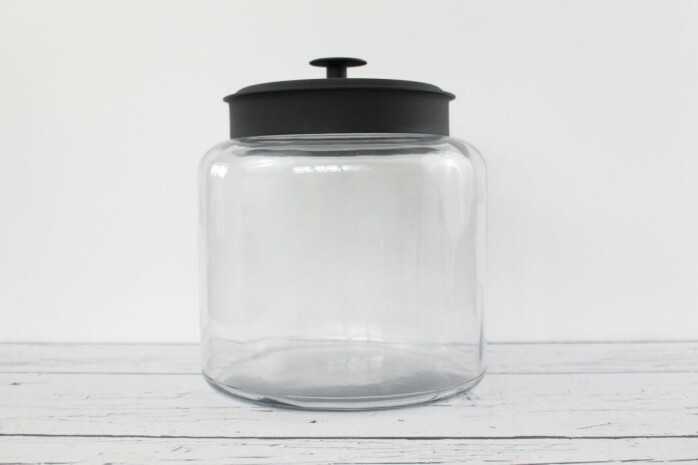 And then the jar– I used this 1.5 gallon Montana Jar with Black Lid. You can get it online at Fillmore Container. 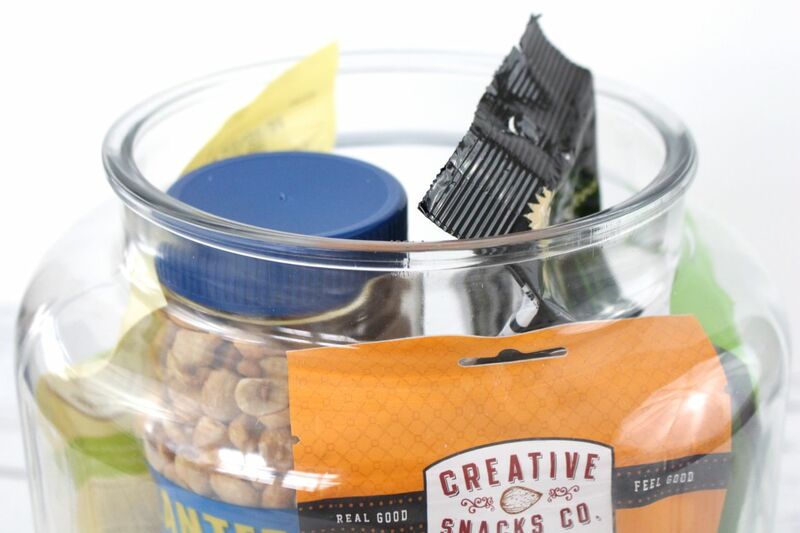 And add the label and tag. 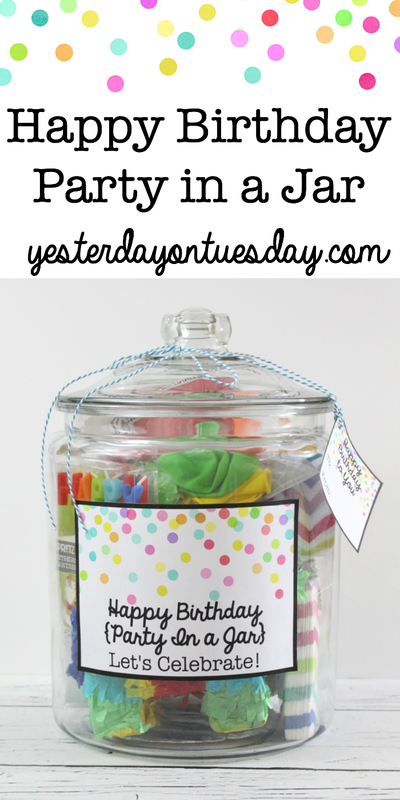 I LOVE this Idea Malia! 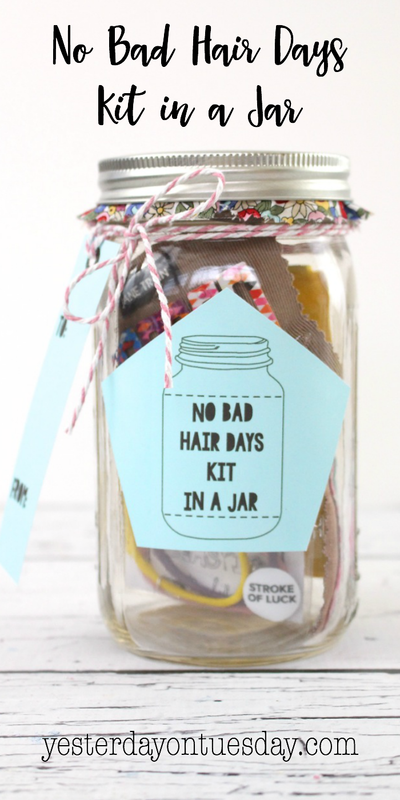 This is a gift anyone would love : ) Hugs!